The number of patients suffering from kidney diseases in the country is increasing fast due to sedentary lifestyle, unhealthy food habit and lack of awareness about the urologic diseases, a leading urologist has said. 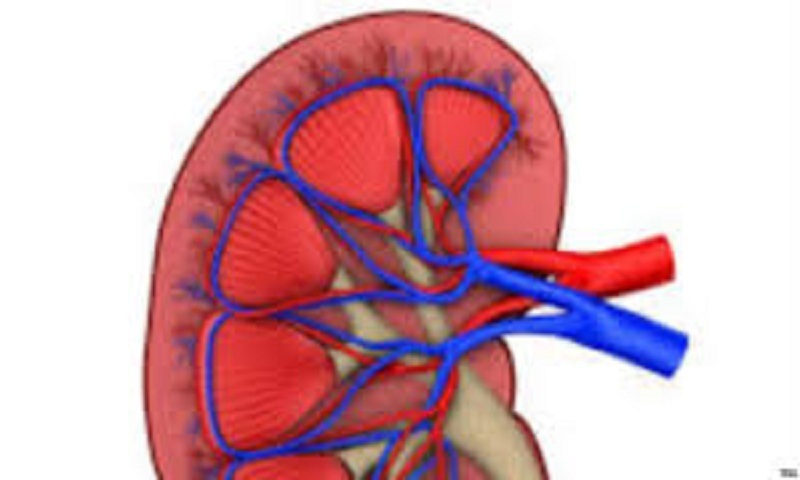 Referring to a study, National Institute of Kidney Diseases & Urology (NIKDU) Director Prof Dr Md Nurul Hooda, said the number of people affected by kidney diseases and other urological problems tripled in Bangladesh in last five years to around two crore (20 million). He said young boys and girls are also being affected by kidney diseases, requiring concerted efforts of all concerned to save the future generation. In an exclusive interview with the daily sun, Dr Nurul Hooda said a growing number of people is being affected by hypertension and diabetes, which result in kidney diseases. “If any person has hypertension and diabetic both, he/she will surely have his/her kidneys damaged soon in absence of timely detection and treatment,” he said. He said socioeconomic development has coincided with change in lifestyle and human behavior. Nowadays people of both urban and rural areas depend on motorised vehicles even for making a short-distance journey, he added. “Number of patients suffering from high blood pressure and diabetes are increasing day by day for lack of physical activities. These two diseases are causing kidney problems,” he opined. Heavy study load and inadequate playgrounds are keeping children aloof from playing and doing physical exercise. Dr Hooda said the children should be allowed to play in the field for at least an hour every day for their physical fitness. The professor underscored the need for public awareness about the diseases and preventive measures to overcome the problem. However, the physician mentioned some bold steps of Awami League government led by Prime Minister Sheikh Hasina to decentralize and extend healthcare facilities from the capital to union level. The government has introduced blood pressure and diabetic check-up corner in the every union community health clinic, he said. “If people in the rural area are diagnosed with blood pressure and diabetic at an early stage, receive treatment and follow dietary chart and other instructions, they will get rid of kidney problem,” he also said. He said stages 1, 2 and 3 of kidney disease are manageable by treatment. But the patients suffering from worst condition may need dialysis and transplantation. He put emphasis on early diagnosis of kidney disease to avoid further complications and loss of money. Currently NIKDU is providing treatment to 600-700 outdoor patients. It can accommodate 150 patients. Project for vertical extension of the hospital building has already been started to render it a 600-bed hospital, the NIKDU director said about capacity of the hospital. Now, 300 patients can receive dialysis in NIKDU and capacity will be boosted in the near future, said Prof Nurul Hooda. A poor patient can get dialysis at Tk 300 as the government provides a subsidy of Tk1,800 for each dialysis. “Bangladesh has created a rare example. Prime Minister Sheikh Hasina has taken the burden of poor patients. Patients in America and other developed countries do not get such facility,” the NIKDU director said. In this hospital, patients can get their pathological tests done, paying an insignificant amount of fees. They are not allowed to go to private clinics or diagnostic centers for the purpose, he said. Besides regular pathological test service from morning to 2:30pm daily, an additional unit remains open till 10:30pm for providing emergency services to patients, he said. In future, the hospital will have more manpower and the emergency pathology service unit will remain open for 24 hours, he added. As part of decentralization of healthcare services, the government has already introduced dialysis service in at least 17 districts in the country. Gradually other districts will come under the programme. Health Minister Zahid Malek has vowed to ensure dialysis facility in all the district hospitals, he said. The renowned urological surgeon also advocated for a change in food habit of the people to stay physically fit. Junk and fatty foods need to be replaced by fishes and vegetables to avoid these diseases. About kidney transplant, he said Bangladesh will have to introduce cadaveric transplant. “Earlier, first relatives could donate kidney to the patients. The government recently amended law allowing second relatives to donate. In reality, no relative wants to donate his kidney. People are pragmatic and not willing to donate organ out of emotion. So, cadaveric transplant is the only solution to this problem,” he said. “A group of 12 doctors including me were imparted training on cadaveric transplant abroad. Now, we need to introduce this service in our country,” he said. Print and electronic media should play role in creating awareness about the benefits of cadaveric transplant, he said. Relatives of a brain-dead person may not be willing for kidney donation, he said. The religious leaders can also make people understand that such donation of a kidney is virtuous job.